King Brion and Queen Anna will select their Bardic Champions based on a three-round competition. Competitors will be judged by Their Majesties and the current Champions, along with an advisory committee, on choice of material, artistic impression, audience impact, technical skill, and individual response. Questions regarding the competition format or requirements should be directed to the current Queen’s Bard, Mistress Alys Mackyntoich. Mistress Alys is not on Facebook, but Lady Aethelflied Brewbane, the King’s Bard is, and will answer questions arising in that forum. 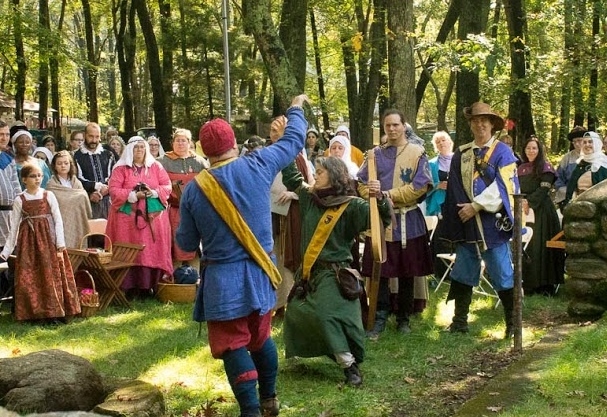 Make an effort to attend at minimum the Crown Tournaments and Coronations during their tenure, and Pennsic if at all possible, as well as other Kingdom Events and Royal Progresses as the Champion is able. Be willing/able to perform at courts, feasts, and other functions (and at the whim of Their Royal Majesties). Be willing/able to perform something on the spur of the moment (especially in the event of a delay breaking out). Commemorate the history of The Crowns and the East Kingdom in song and story. Advise and assist the Crown in the organization of the competition to choose their successors. Run the East-Middle Bardic Exposition at Pennsic, featuring performances by representatives of the East, the Middle and their “daughter” Kingdoms. 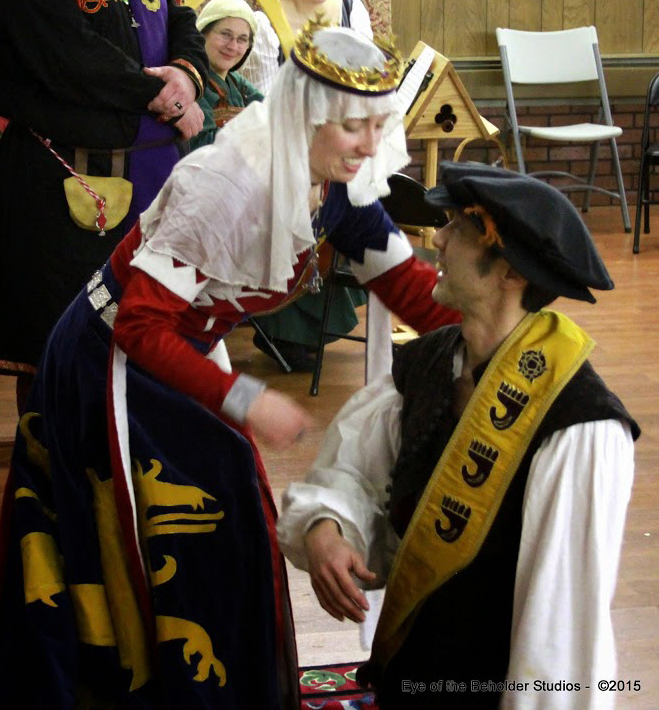 In appropriate years, Champions may be asked to organize or provide performances for State Dinner or Queen’s Tea at Pennsic. Time permitting, those who do not wish to compete for the Championship will be allowed time to display their performance skills between rounds of the competition. If you think you would like to display, please contact Mistress Alys in advance so that we can try to make sufficient time available for you. Each performer is asked to submit, prior to the first round, an index-card-sized summary of types of performances and styles the performer would be willing to perform with little or no prior notice. This “resume” gives the performers a chance to display versatility as well as skill, and gives Their Majesties additional information as they consider their next bardic champions. Their Majesties will choose something from this list for the final round, so consider well what you may be called upon to perform! Name (list relevant SCA info) what you do as a performer, and what you can do on command. Romanus Gaius Cantus (SC, OTC, Troubadour) Roman-style boasts, filk on any topic to the tune of the Maltese Bransle or Greensleeves, good at extemporaneous speaking, can chant war-style marching songs in Latin. Excellent at theatre-style reading text I have not seen before. Skihald the Viking (King’s Bard to John VIII, Troubadour, Order of the Maunche, Order of the Laurel) Perform and write Norse-styled poetry in English, tell skaldic tales from 4 to 10 minutes in length from hilarious to morose, excellent teller of jokes, intermediate juggler, have several magic tricks I have worked into period settings. Ysibeau du Provance Period pieces in French for solo voice or recorder, Latin sacred music of the 12th century, improvisational harp. Can write small praise poems in French and English with some notice. Familiar with some music from most SCA periods, and SCA-appropriate songs. I am good at selecting music for different occasions. Haven Fortnight (Bard to Baron of the Place) I know a handful of period pieces, but my strengths are really SCA-appropriate non-period songs composed by others (traditional, folk tradition, SCA-composers) or by myself. I also play guitar. I can write pieces on commission with some notice. I can play and stroll at the same time. I can write in rhyming verse on short notice on nearly any topic and present it. The competition will take place over three rounds with the following parameters. FIRST ROUND: a documented period piece, a period-style piece OR a piece written on an SCA theme. SECOND ROUND: a piece of a different type or style than that done in the first round. For example, if you performed a documented period piece for round one and wish to perform another documented period piece for round two, the two pieces should differ in some other way, such as mood (happy vs. melancholy), type of performance (poetry vs. song, prose vs. instrumental), etc. THIRD ROUND: Their Majesties’ choice. Their Majesties will instruct the competitors on what they wish to hear, guided by their earlier performances, the skills which have been listed in their “resume”, and (possibly) a brief interview of the entrant. Performers will have a few minutes to prepare. For this competition, a “period piece” is defined as an actual historical piece of poetry, prose or music, with appropriate documentation. A “period-style piece” is an original or adapted work using documented period forms. A “piece on an SCA theme” is any work written about SCA persons, events, or culture, and does not require documentation. For period or period-style pieces, please provide a brief executive summary, such as would fit on an index card. Any additional documentation, such as a paper explaining the period style in which the piece was written or documenting the source of the period piece, will be accepted happily and will be counted in favor of the competitor. The new Bardic Champions will be announced and begin their service at Court this day. Note: This list will be maintained and updated as new questions arrive on their own web page. Do I need to pre-register in order to compete? Yes, for the first time this year, we are asking Bardic competitors to pre-register with the Champions stating their intent to compete. Those intending to compete must pre-register with Mistress Alys by February 6, 2017. Note that this is not the same as pre-registering for the event, although we encourage that as well. 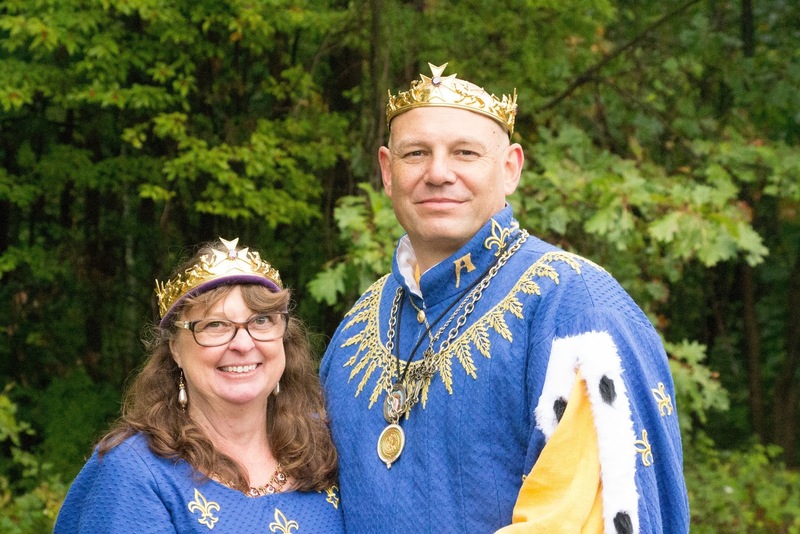 Both the King’s and Queen’s Bard this year prefer documented period pieces and period-style pieces, and encourage performers to try those forms. Their Majesties are looking for pieces that move them emotionally, and enjoy pieces that evoke SCA history and culture. So, the whole performing arts spectrum will be represented in the judging. Do I need documentation in order to compete? ONLY IF you are performing a period or “period style” piece. The documentation can be as brief as an index card citing the source of your piece. E.g., “Now Is The Month Of Maying” by Thomas Morley (1595), found in The Oxford Book of English Madrigals (Oxford University Press, 1978). However, more documentation, particular if the piece is an original one, written in a period style, will be accepted quite happily and will be counted in the competitor’s favor. Can I compete as an instrumentalist? Yes, as long as vocal performance is also part of what you do. At least one of your first two rounds should involve some sort of vocal presentation, whether spoken word or song. Can I use a group performance for one of the rounds? Only individuals can compete to be King’s or Queen’s Bard. However, a group performance such as a choral song, recorder consort, or a brief mumming may be offered as part of an individual’s body of work IF the exact role of the person actually competing is made clear. For example, when Lady Hextilda offers a group performance of a recorder piece, she states on her index card and documentation that she wrote the piece in a particular period style and is performing the alto recorder part. What if I don’t want to be a Royal Bard but I want to get feedback? Schedule permitting, there will be time between rounds for people to display their performances without competing for either Bardic position. If you think you would like to display, please contact Mistress Alys in advance so that we can try to make sufficient time available for you.